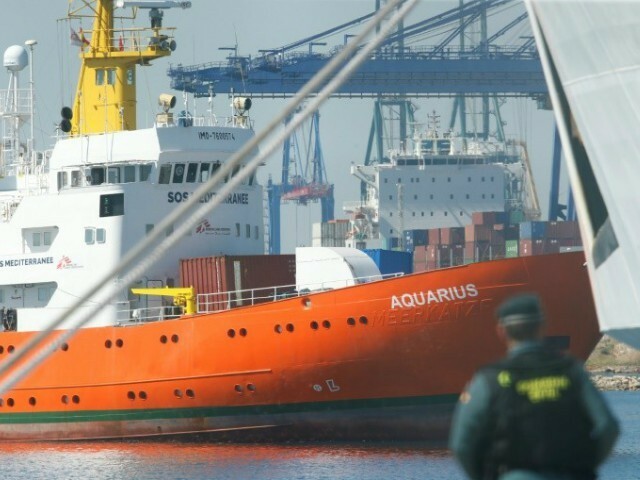 The Italian populist coalition government has ordered the seizure of the migrant transport ship Aquarius after accusing the NGO operating the vessel of dumping toxic materials potentially linked to diseases such as HIV and Tuberculosis. The Italians ordered the seizure of the vessel operated by NGO Médecins Sans Frontières (MSF), which is currently in the French port of Marseille, claiming that MSF had illegally dumped 53,000lbs of waste in 11 different Italian ports, ANSA reports. The material, which was dumped in at least 44 separate incidents according to investigations, consisted of medical waste that was not separated from ordinary refuse and had the potential to be infected with diseases reportedly prevalent among the migrants transported aboard the vessel. 32 Embarrassing Photos That, You Need to Look at Now! According to the Catania prosecutor, there were “5,088 health cases at infectious risk out of 21,326 migrants disembarked” from the vessel including cases of scabies, HIV, tuberculosis, and meningitis.